The full membership of the Libraries Taskforce meets every 2 months, and our intention is to make the most of each session by visiting different libraries or venues suggested by Taskforce members. We alternate locations between London and the rest of the country and, prior to the start of the formal meeting, we are given a guided tour of the venue and discuss activities and developments in the local library service with people from the area (including library staff, Councillors and senior local authority officials, partner organisations, etc). Past meetings have been held in the central libraries in Manchester, Newcastle, Norwich, Northampton and Exeter, and the headquarters of the Local Government Association, Public Health England, the BBC and the British Library. Since Libraries Deliver: Ambition was written, each meeting features a session on one of the 7 Outcomes. We explore in more detail what they mean for libraries, and how the Taskforce can take forward specific actions which will help public libraries across England to reach the objectives for 2021 set out in Ambition. Previous meetings have focused on Outcome 5: Healthier and happier lives, and Outcome 4: Helping everyone achieve their full potential. We’ll share more about these in future blog posts. The 12th Taskforce meeting was held in South Woodford Library and Gym in the London Borough of Redbridge on 9 February 2017. We focused on Outcome 6: Greater prosperity. Each Outcome has an assigned Taskforce ‘owner’ who leads the discussion; the presenters for this one were a team from the British Library. 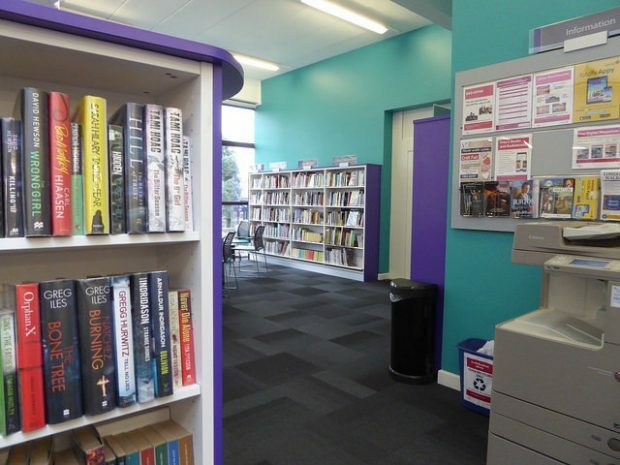 Redbridge libraries are run by Vision Redbridge, Culture and Leisure whose Chief Executive, Iain Varah, is a Taskforce member due to his role as past Chair of the Chief Cultural and Leisure Officers Association (cCLOA). Vision Redbridge is a registered charity, responsible for managing a number of sports venues (including Cricklefields Athletic Ground, Fairlop Outdoor Activity Centre, and Redbridge Cycling Centre), plus 13 libraries, the museum, local studies and archives, parks, open spaces, arts, and events. The South Woodford library and gym is one of their mid-sized libraries. 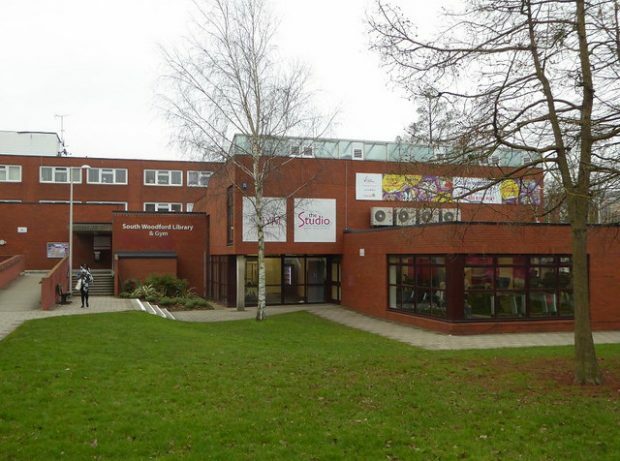 When we visited, we heard about their recent transformation programme when it was refurbished to include a gym. The refurbishment was carried out after a full consultation with the community and a thorough investigation of other local venues. Many people welcomed the addition of a gym as there were limited other facilities in the area - in particular those aimed at general fitness (there was a muscle-building gym in the town, but that was felt to be quite daunting). There was also strong local feeling about the services offered through the library, and the final plan managed to keep exactly the same footprint for the public library areas, through repurposing what had been under-utilised storage space and staff work areas, and turning a previously little-used community room into a quiet study zone. The most visible compromise was moving the children’s library from the front part of the building to the back, but the new spaces were well thought out and being heavily used during our visit (both the children’s section and the gym). The combined library and gym is a bright, busy space. Both parts of the facility are open 7 days a week, 6am - 10pm during the week, and 8am - 6pm at weekends. These hours are much extended from when there was just a library in the building. Staff are trained both on library work, and to introduce people to the gym facilities, although gym sessions are led by fitness professionals. We had a presentation from Gareth Morley, head of culture and libraries, who talked about the formation of the Trust several years ago and their priorities for libraries. They have a strong focus on books and place great importance on getting the stock right - both well displayed and right for the community. This is reflected in their high rate of loans, especially for children. Their loans figures are stable - although he emphasised though that they do work hard on this. He commented that they see Libraries Deliver: Ambition as a good framework for what they do, as it helps to promote both what libraries already do and what they could do. He saw it as providing both validation and a challenge to perceptions. And it fits well alongside stated council objectives. His colleague, Anita Lubby, shared numerous examples of activities and events that take place in Redbridge libraries, illustrating how they deliver each of the Outcomes listed in Ambition. Of particular note were the Redbridge children’s book awards, the Fabula literature and culture festival, their reading buddies scheme (which takes over once the Summer Reading Challenge is completed), their teen advisory board who have a budget to help identify appropriate stock and organise an events programme, and their Enterprise Desk (an idea which was tested via a pop-up in a disused shop, but now has won funding to develop as a permanent feature in the central library). One particularly neat example of how the museum and central library have been integrated were that certain artifacts from the museum collection have been relocated to sit alongside the appropriate section of the book stock (although I don’t know if the reciprocal arrangement is to have books in the museum!). 3 colleagues from the British Library: Liz White, Rob Field, and Isabel Oswell, introduced the discussion about the role of libraries in contributing to greater prosperity. They framed their remarks around 2 aspects - both the services libraries offer, and their convening power. They looked at the specific activities described in Libraries Deliver: Ambition, and talked about the overall offer, asked questions about priorities and awareness levels, and talked about how the impact of these activities can be measured. Isabel has blogged for us in the past about the excellent achievements of the British Library’s BIPC network, and she gave us an update on this network and their plans to develop still further. It was recognised that many libraries around the country already offer a wide range of services to business and those seeking work, but what the BIPC brand brings is a degree of consistency to the offer and the power of a network to bring benefits to a wider group, regardless of where the particular expertise is situated. There was general discussion about the other organisations active in this space, including the growth hubs, enterprise agencies, Chambers of Commerce and local enterprise partnerships (LEPs). Library services, particularly those in the BIPC network, link into and signpost to these organisations, but libraries can be particularly useful as the initial front door for all businesses, in particular SMEs and micro businesses, or those with the barest spark of an idea. The next steps for the Taskforce, as with the previous sessions looking at Outcomes, will be to agree on, then deliver, some specific actions around this Outcome, reporting progress in our 6 monthly reports. British Library will be coming back to the next meeting with suggestions on what these actions might be based on the wide-ranging discussion at the meeting. 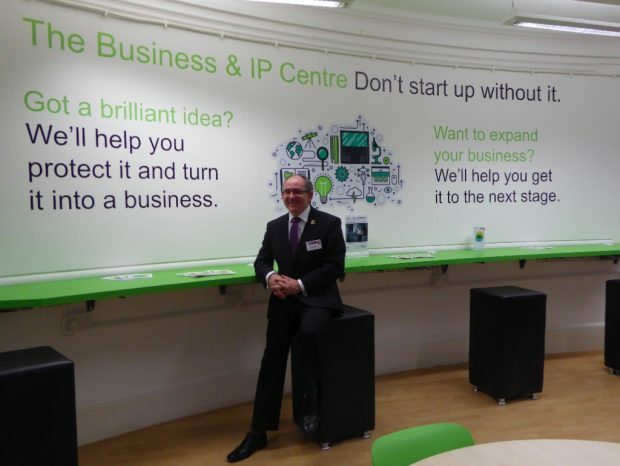 As a timely follow up to the meeting in Redbridge, Friday 10 February saw the official opening of the Business & IP Centre in Northampton. While there has been a business zone in the reference area of the central library for many years, working together with the Northamptonshire Growth Hub, official designation as a member of the BIPC network gives added power to the centre as a member of this established network, with access to BIPC resources and activities. Billed as “Recipe for success: a taste of Northamptonshire business”, the event was a perfect opportunity to showcase local prizewinning small businesses and the new BIPC space. We’ll publish a blog shortly on this latest BIPC; the partnerships behind it, some of the specific help offered and businesses who have benefitted. Look out for publication of the formal minutes from the 12th Taskforce meeting which will appear shortly on the Taskforce pages on GOV.UK, and subscribe to this blog to hear more about what we are doing. Library e-resources: not meeting the potential?